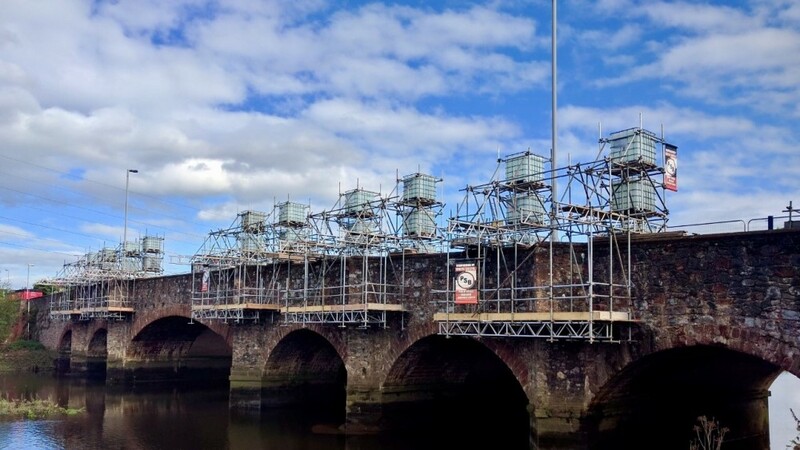 These 5 hangdown scaffolds required a total of 30 tonnes of ballast to meet design criteria on this exciting project. These works are part of an ongoing regeneration and widening of the Countess Wear Bridge, one of the busiest entrances into the city centre. Erecting a temporary roof scaffold over the Devon & Exeter Institute. 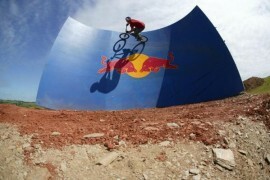 During the summer of 2008 Red Bull sponsored a BMX event here in Devon entitled "Empire of Dirt". We were awarded the contract to erect this fully boarded and clad scaffold to Las Iguanas.